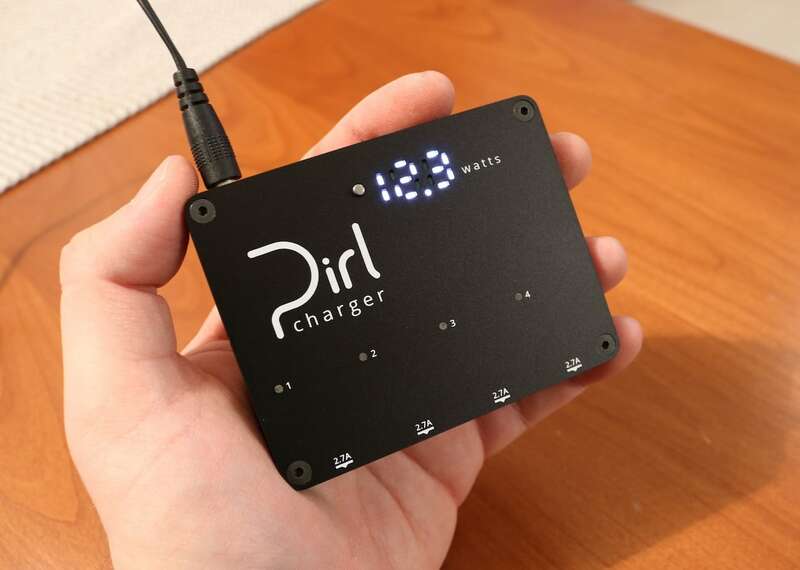 Charge your devices at their fastest rate with the Pirl Four Port Charger. 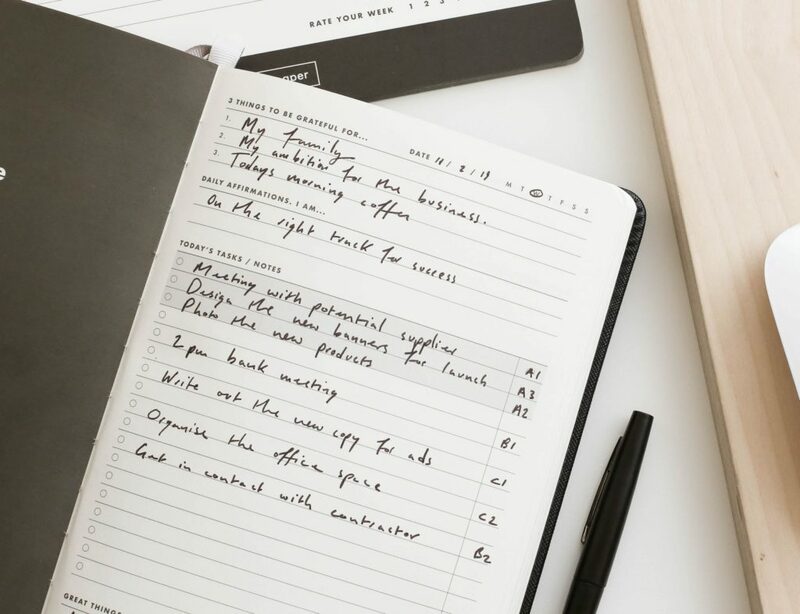 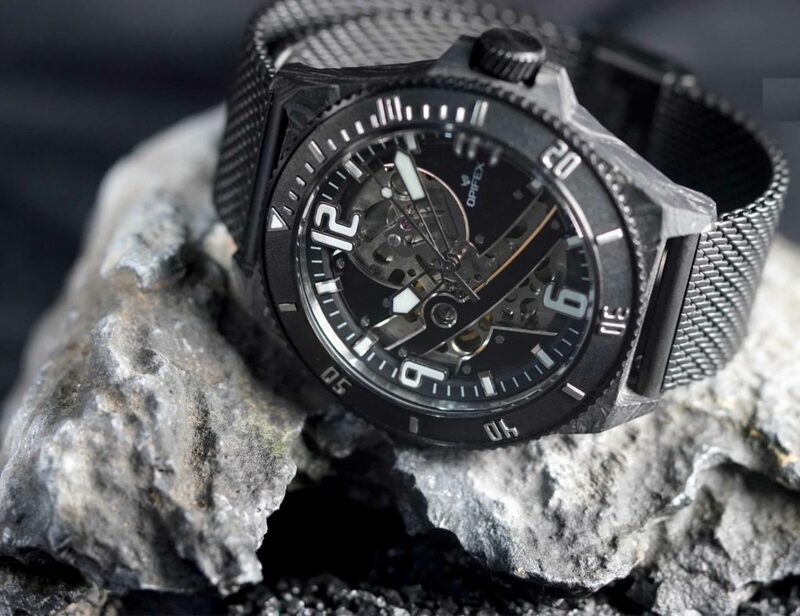 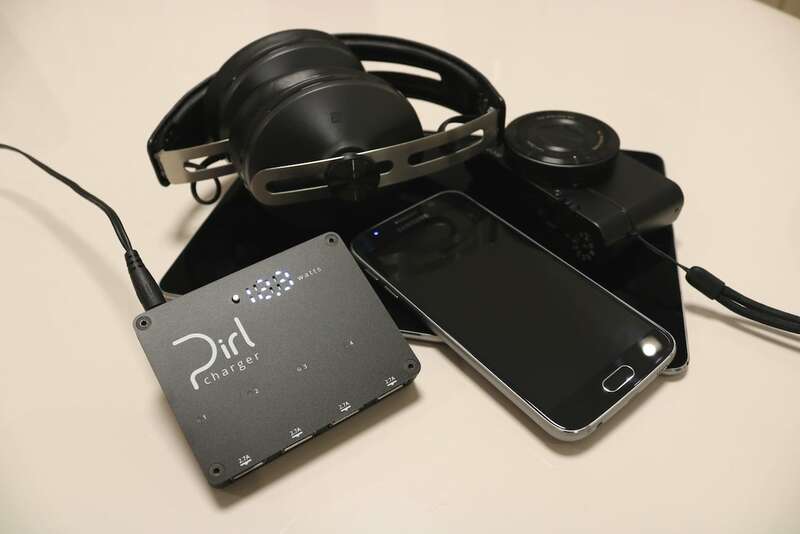 Designed for demanding users, this everyday carry charges several USB devices with no throttling, including phones, tablets, headphones and other gadgets. 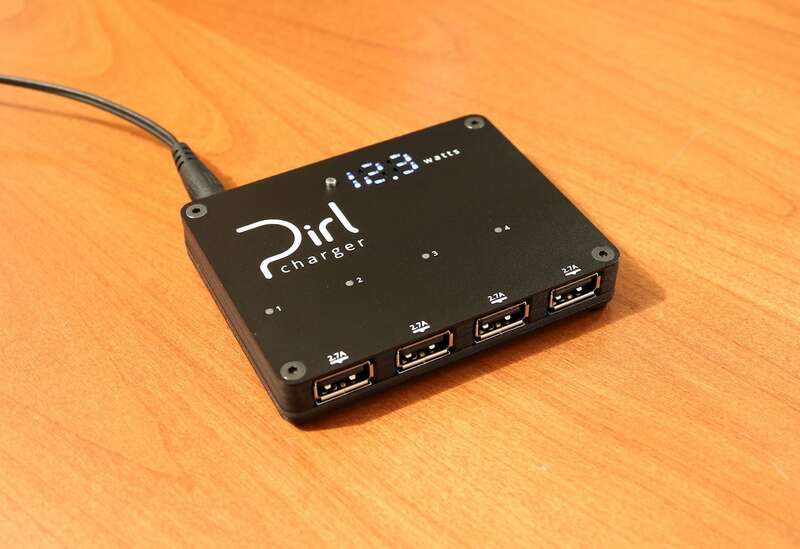 Charge your devices at their fastest rate with the Pirl Four Port Charger. 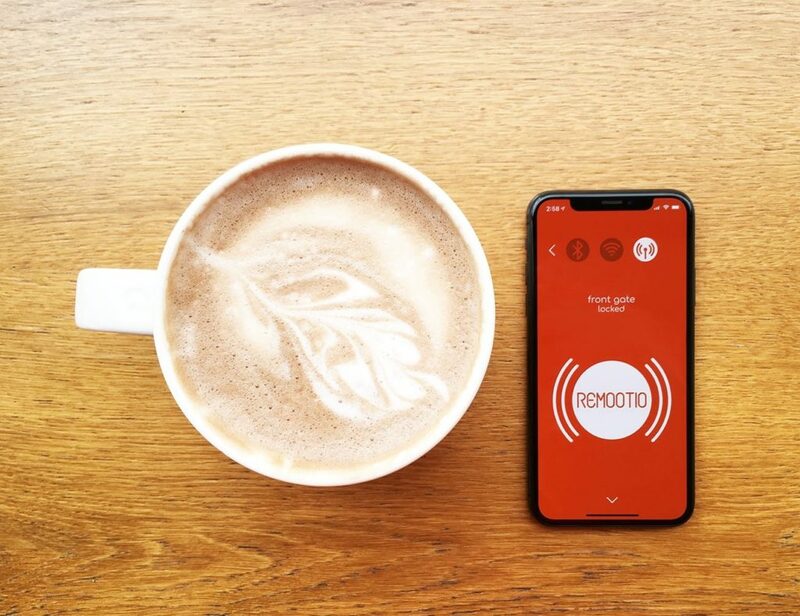 Designed for demanding users, this everyday carry charges several USB devices with no throttling, including phones, tablets, headphones and other gadgets. 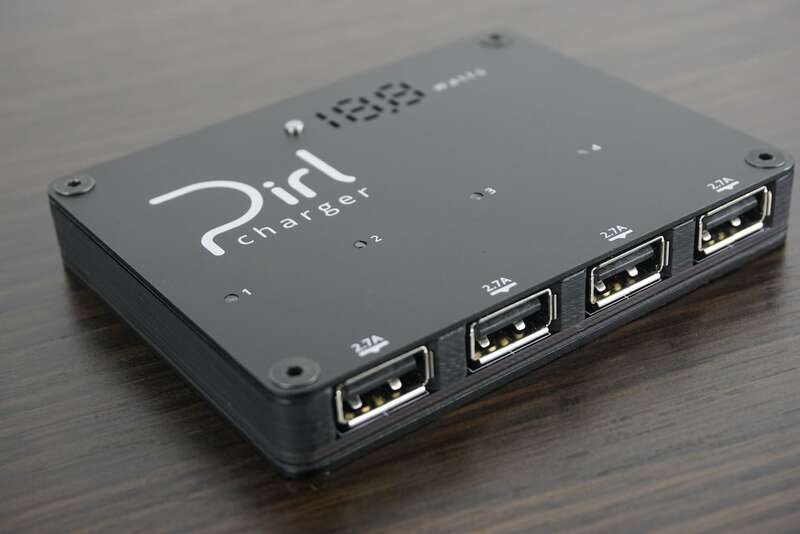 Likewise, the Pirl delivers 2.7 amps per port with a total of 50 watts. 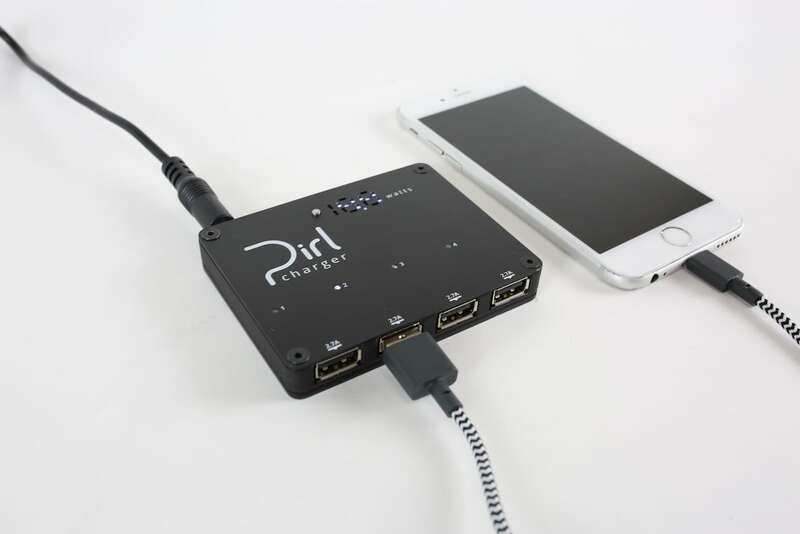 It also offers a wide input range of 7 to 17V. 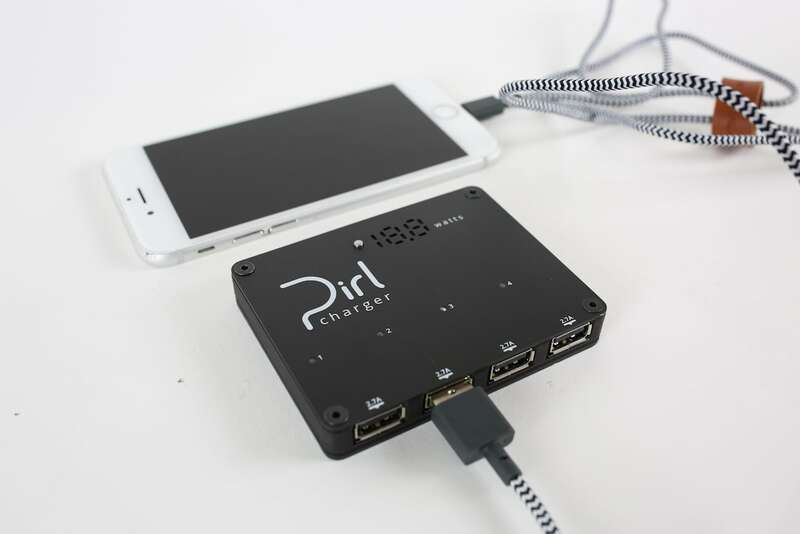 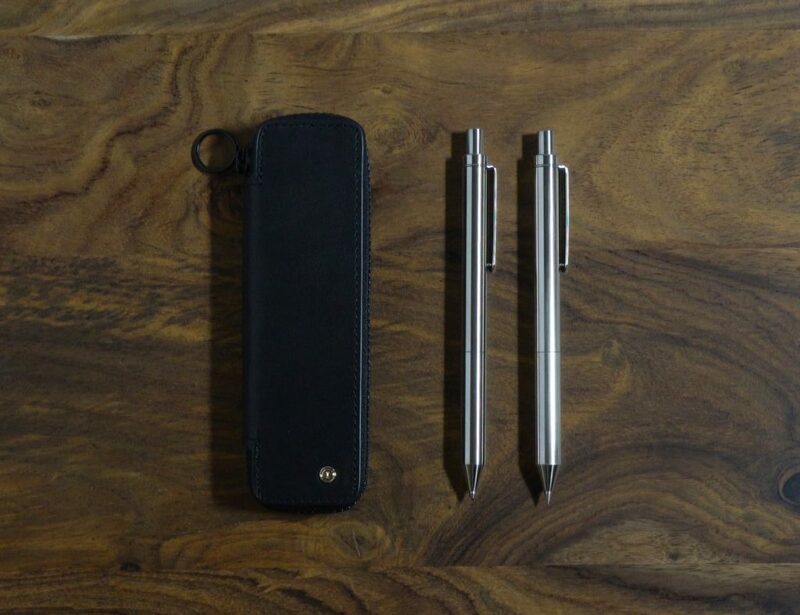 Made from robust aluminum and FR4, the Pirl is built to last and seamlessly fits in with your modern devices. 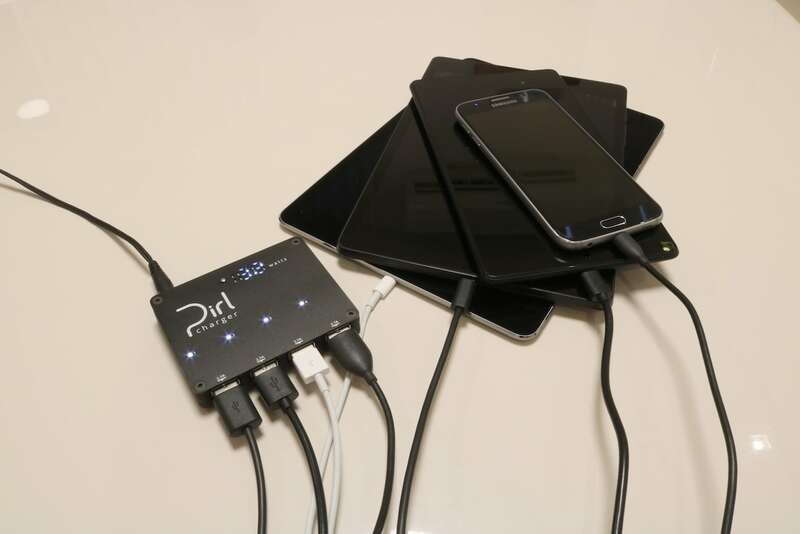 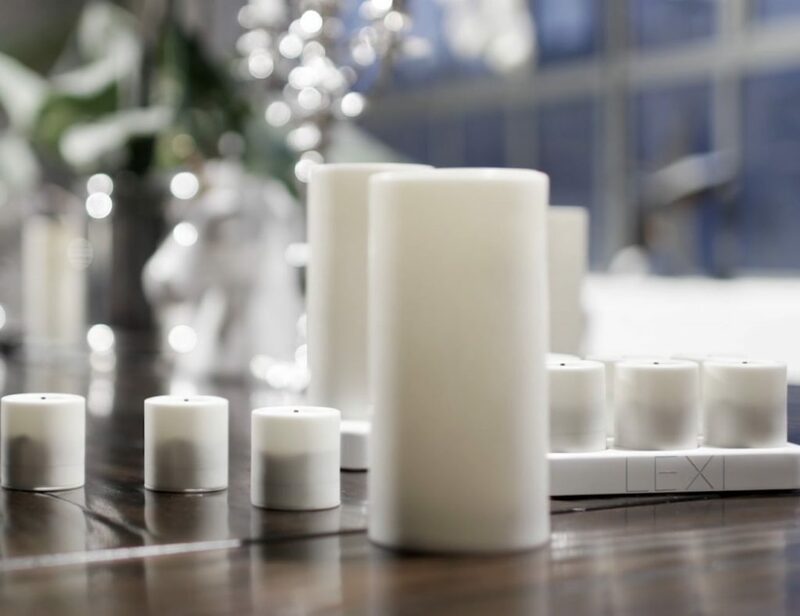 In addition, it identifies how fast your device can charge by performing a digital handshake. 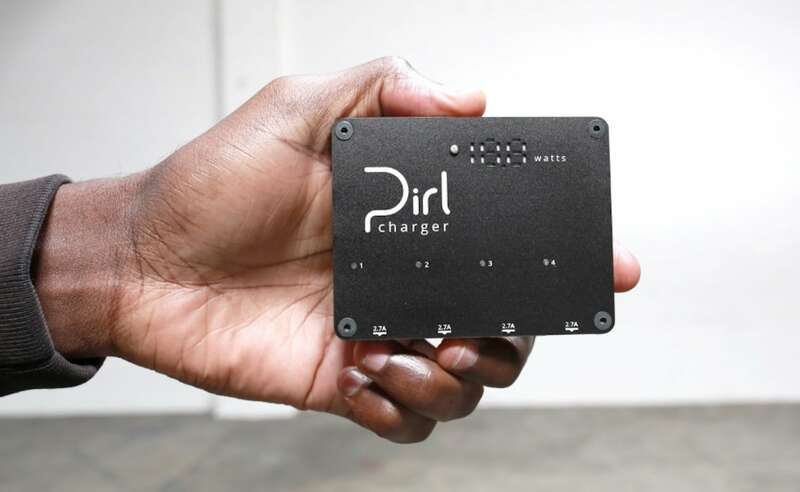 The wattmeter makes it easy to find out how fast you are charging. 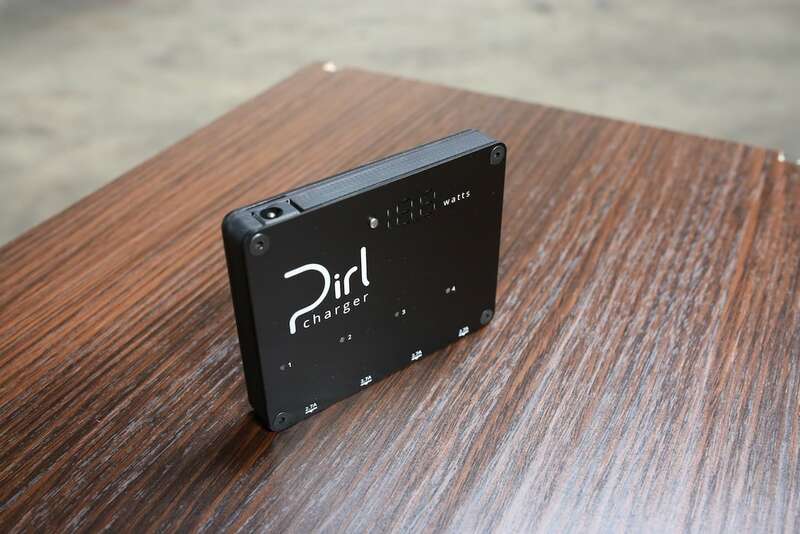 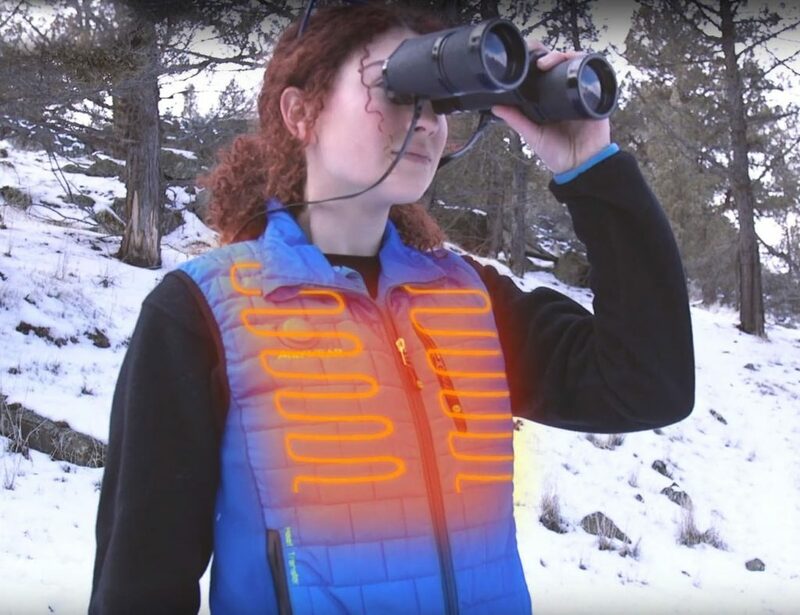 Furthermore, the Pirl can get its power from cars, wall outlets, battery packs, and solar panels.